Hiding within a modern footstool this space saving guest bed will compliment any interior space. 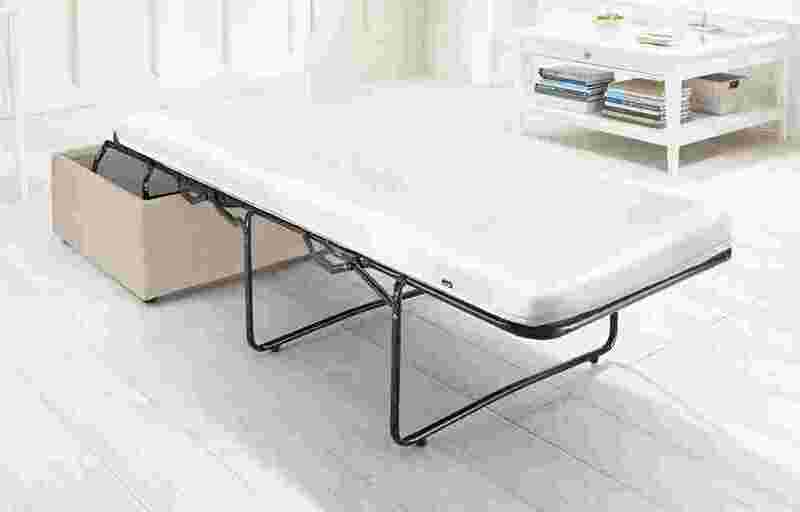 Its unique Roll-out mechanism allows it to be transformed into a comfortable bed in seconds. Resting on the sprung bed base the mattress combines two layers of Airflow Fibre for exceptional support and comfort. A soft top layer provides pressure relief and a higher density lower layer offers extra support. Embracing absolute attention to detail, the footstool is upholstered in some of the finest fabric which has been specially made for Jay-Be® in Huddersfield, West Yorkshire, England. Huddersfield is respected worldwide for producing some of the nest fabrics available today. Made using specialist production techniques, the fabric offers a luxurious feel as well as long term durability.